And the tie up music is sung by Tohoshiki. and ennobles the CM's world to a higher stage. The song is Tohoshinki's "Back to Tomorrow". Hello, everyone, this is Tohoshinki. 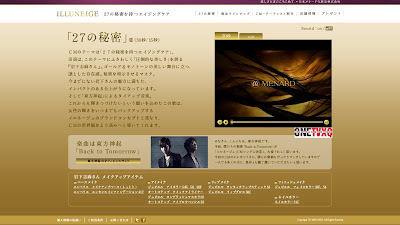 This time, we are delighted that our new song "Back to Tomorrow" will be the theme song for ILLUNEIGE's CM. Our song completely matches the elegant style of the CM. We want as many people as possible to see the CM and hear our song.